A Sinking Tomb of Brass, Pouring Forth Black Smoke Sabotage? Deception? Or Just Some Really Unlucky Folk…. 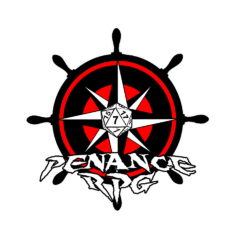 This Week the Party Are Awoken by a Screaming Zeppelin Flying overhead… Billowing Black Smoke before Crashing… What could have Caused such an Accident?